Complete, high-quality & easy-to-install. 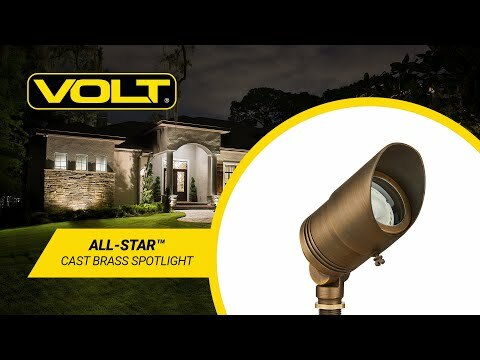 Includes 6 of our All-Star™ Cast Brass Spotlights designed for durability and flexibility & 6 of our most popular path/area light the Max Spread. Everything you need from start to finish to install a professional landscape lighting system. The kit includes: fixtures, bulbs, transformer, cable, and even the connectors. Bundled at a reduced price for additional savings! 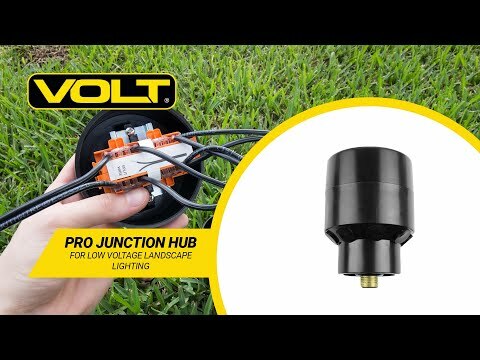 Check out these tips for "The Approach of Landscape Lighting Design"
VOLT® LED landscape lighting kits satisfy many goals. They beautify your landscape, provide extra security and safety, and extend your nighttime living space. The kits also save energy with low wattage LEDs rated for a lifetime of use - we guarantee it. Each kit's components have been hand picked to provide a durable system that performs perfectly; everything you need in one convenient package. You will be delighted with this kit - and with the Lifetime Warranty. Using the (6) All-Star™ Spotlights: Several bushes or trees and uplighting the front of your house and uplighting columns, pergolas, or gazebos. Using the (6) Max Spread Path Lights: Our largest spread of any path / area light.and/or a patio or garden beds. Great for lighting up pathways, driveways, or garden beds - these fixtures feature a 16' light spread from their 24" height making these lights very low profile, providing a moderately-sized coverage of soft even light. DryConn® connectors are silicone-filled to ensure your connections are protected from moisture and corrosion. Poor connections are the number cause of landscape lighting system failure. Using these DryConn® connectors ensures connections that last a lifetime. Pre-cut PVC conduit to protect the wires coming from the bottom of your transformer, and to give you that clean, organized, & professional look. 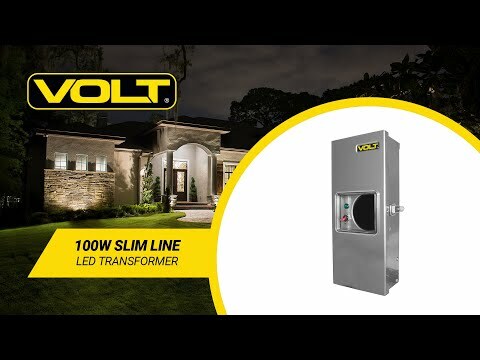 Groundbreaking 100W LED transformer for super-easy installation and control. Featuring clamp-type terminal blocks that offer many advantages over typical screw-type blocks. Requiring no tools, the stripped wires are inserted individually into each hole, then clamped in place. The process is fast, simple, and provides extremely secure connections - you can't pull them loose. Fixtures, Bulbs, and Transformers are backed by a Lifetime Warranty.